Pancit Molo is a filipino recipe that makes you wonder why it was called pansit for term “pancit” or “pansit” means noodles but actually the dish didn’t use any ingredient of noodles in it’s recipe because it uses either wonton, soimai or molo wrappers. 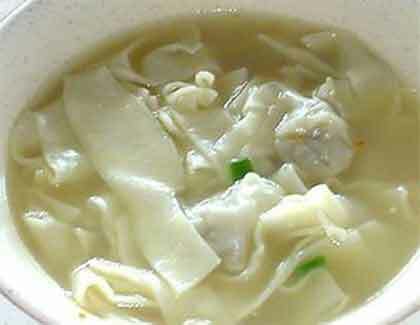 Also, most of the pancit recipe are dry while this pancit molo is a soup. Mix all ingredients for the filling. Get one molo wrapper and put a little filling in the center. Fold the wrapper, to make the two ends meet to seal. Repeat procedure to wrap all the fillings. Set aside. In a saucepan, heat oil. Sauté garlic and onions. Add in the pork, ham and shrimps. Cook for a few minutes and then add the broth. Bring to a boil and then drop in the stuffed molo wrappers. Season to taste. Cover and let it boil again. Reduce heat and let it simmer for a few minutes. Serve hot. Topped with spring onions and fried garlic. 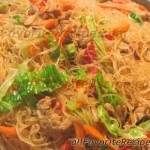 Have You Tried These Other Pansit Recipe ? 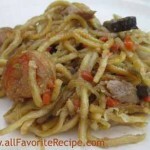 Thank you guys for posting this recipe. I’m actually here in Guantanamo Bay, Cuba. 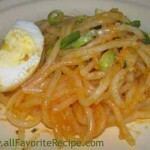 My friend a filipina and an active US military member wants me to cook this for her… as she’s eager to learn and wants to eat filipino foods again… Hope to see more filipino dishes to learn in this site..
Glad to find this site , I hv great memories eating Pancit Molo every Christmas in Bacolod my grandma ( deceased ) made them from scratch including the Molo wrappers w/c she would use her old crank up ” noodle maker” as I called to make them. In memory of her I am going to start a family tradition to prepare this at Christmas eve which happens to be my fathers bday who is her son. Thank you for sharing ur recipe and more power! 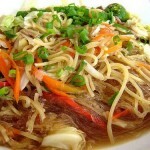 pancit molo is our favorite being from iloilo. i learned that it originated from the town of molo which is populated by a large chinese community during that time. (the binondo of panay island). also it is a rich enclave and the moors or muslim love to go and repeat the summer rounds of robbing and pillaging their towns. so the spaniards erecetd watch towers to scan the horizon for approaching muslims. then the sound the bell and the residents ran around like chickens creaming “molo! molo!” for moro. it is a delighftful meal by itself during the long winter months. You can make the soup and refrigerate the “molo” and just drop them to cook the next time when you heat the soup so they do not get soggy. Jesus, You are the Bread of Life. Lead me always in the path of righteousness. Amen.